Discover a treasure to collect, wear or enjoy at Coyote's Paw Gallery Ltd. where we offer traditional art from over fifty countries in Africa, Asia, Oceania, the Middle East and the Americas. 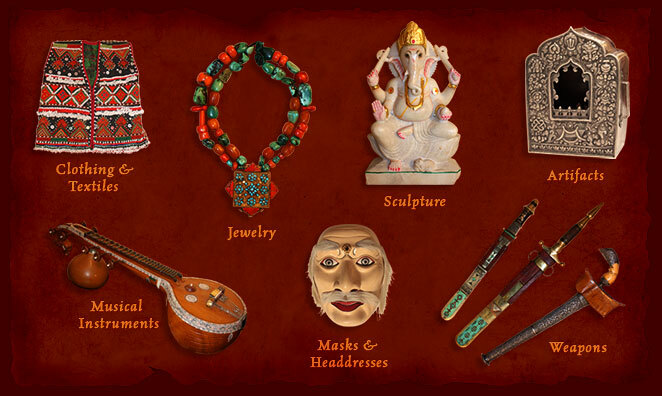 Among our unique items are tribal and ethnographic jewelry from India, Morocco, and Central Asia including unique earrings, nomad boots, applique thanka and flint strikers from Mongolia; sculpture, masks and costumes from Africa, as well as Tuareg nomad daggers, jewelry and leatherwork from the Sahara. Other selections include Indonesian textiles, gongs and keris; Tibetan bronzes, coral and turquoise necklaces and amulet cases; as well as Navajo, Hopi, Zuni and Santo Domingo jewelry. We support the survival of fine traditional arts by insisting on high quality. In addition we practice fair trade by dealing directly whenever possible with craftspeople in their workshops, homes and tents.